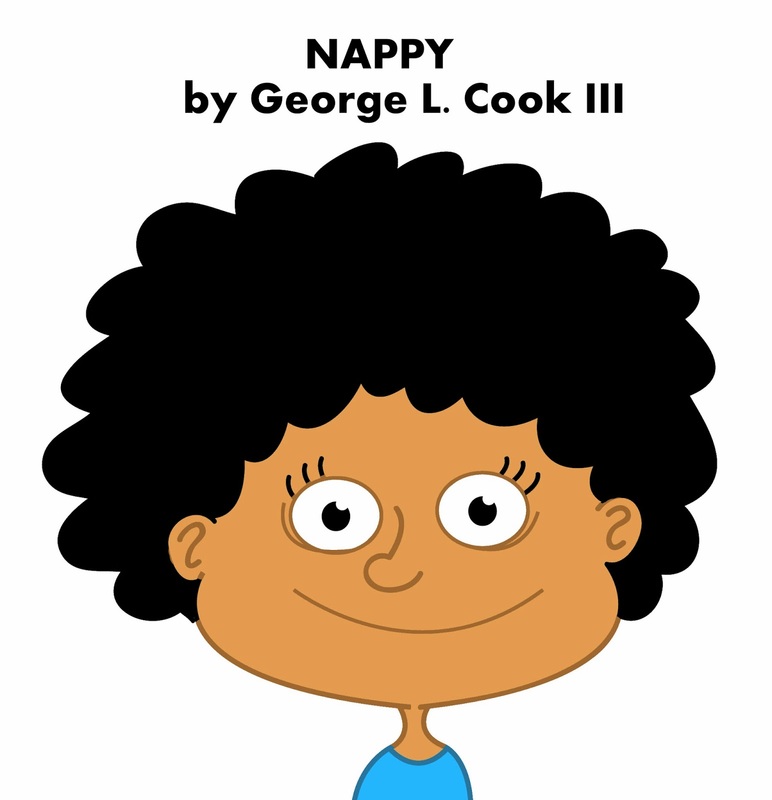 AFRICAN AMERICAN REPORTS: The reviews are in for NAPPY, a book for little black girls. The reviews are in for NAPPY, a book for little black girls. The reviews are in for NAPPY! In a society the heralds a standard of beauty contrary to those of African Americans with highly textured hair; Nappy by George Cook III, promotes positive self image for young Black girls. This book reaffirms that we are indeed made in God's perfect image! My granddaughter enjoyed the story, I had to read it 3 times. This seems to be our nightly bedtime story. I loved the story line and how it let the reader know that it's ok to wear natural hair and as a woman that also has chosen to be natural, this book is long overdue... Thanks George for inspiring our young ladies of color! This book is very short (only 5 pages) but carries a big message for young girls. While we all know that girls of all races eventually are faced with image issues, one particular issue that is typically unique to black girls is that of their hair and coming to terms with the fact that it does not necessarily look like the hair on their dolls or the hair on most female models in magazines or on TV. The short poem and child-friendly illustrations introduce self-awareness and pride to young children who may be confused or unsure of the beauty of their inherited attributes.